This fantastic FULLCOLOUR book is written by Pasquale Casà Basile, a UEFA Pro Licence Coach and a specialist in tactics and team management. Learn how to coach positional play and develop your tactics with the Spanish game model of "Expansive Football" so your team can play effective attacking football. Through this method of teaching, players are also helped to grow in personality and taught fundamental values such as work rate, competitiveness, teamwork and the desire to win. This book also provides detailed analysis of 34 different tactical situations and provides 47 practices for you to use when training your team. Putting the Theory into Practice with "Expansive Football"
Learn How to Effectively Coach Positional play with the Spanish game model of "Expansive Football"
Pasquale Casà Basile (UEFA Pro Licence Coach) has had various roles, including with the Catalan Football Association and RCD Espanyol, where he coordinates, facilitates and develops the work of the youth team coaches, directing the development of tactics and periodization of the Spanish football model. Has a UEFA Pro coaching licence, as well as being a specialist in tactics and team management. 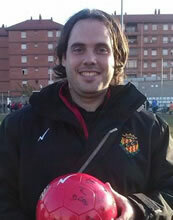 In the past he has trained a lot of clubs, including four years at the technical centre for RCD Espanyol de Barcelona. Pasquale also worked in a technical project with the FC Barcelona Foundation and is currently working as the Head of Youth Development for FC Legirus Inter in Finland. Pasquale’s work is usually to coordinate, facilitate and develop the work of the coaches of the youth teams, directing the development of tactics and periodization of the Spanish football model. 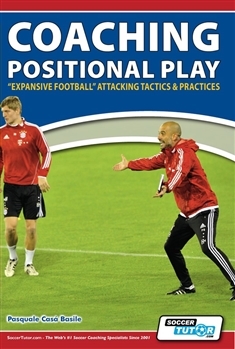 Learn how to coach positional play and develop your tactics with the Spanish game model of "Expansive Football" so your team can play effective attacking football. This is brilliant book. The book's content of Expansive football have impressive impact to this beautiful game. I red it previously in Italian,but English version is more completed. This book is just a lil piece of Guardiola’s philosophy but it shows very well his way to see this amazing sport. GOOD BOOK, ONLY MINUS IS TOO MUCH TEXT COMPARED TO PICTURES. I'm very happy with my purchase "Expansive Football" arracking Tactics...Thank's!! !